Our range of products include Automatic Doors such as Automatic Doors and Security Gates, Automatic Door Systems and Sensor Door System. 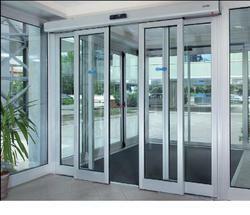 We are leaders in the market providing our esteemed clients reliable and efficient Automatic Door Systems. Offered products are manufactured using finest quality material.